Democracy in Africa is dedicated to building a bridge between academics, policymakers, practitioners and citizens. We focus in particular on encouraging academics to share their work on African politics in accessible formats, encouraging engagement and wide-ranging debate. Our hope is that the website will encourage more people to study democracy in Africa and to make it easier for those who are already working in, and on, the continent to share ideas and information. We are positive about the prospects for democracy in Africa and believe that more time, resources, and energy should be put into understanding the complexities of politics at a local, national, regional and global level. This website is a small but significant contribution to this end. 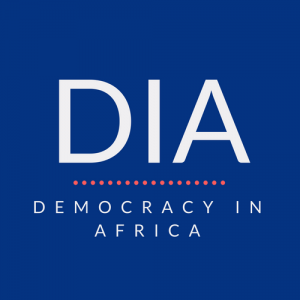 If you are interested in writing an article for DiA, or you have any feedback, get in contact. We’d love to hear from you. All opinions shared on this blog belong to the author(s) in question, and are not necessarily representative of those held by the DiA editorial team. We welcome readers to share their responses to the blogs in the comments sections of each piece, but we reserve the right to remove comments that are deemed offensive.